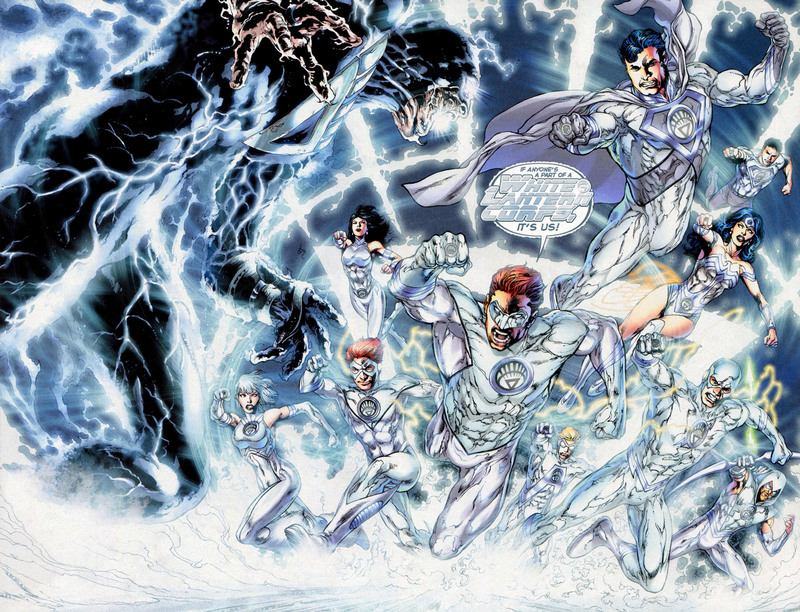 What Are the Lantern Corps? 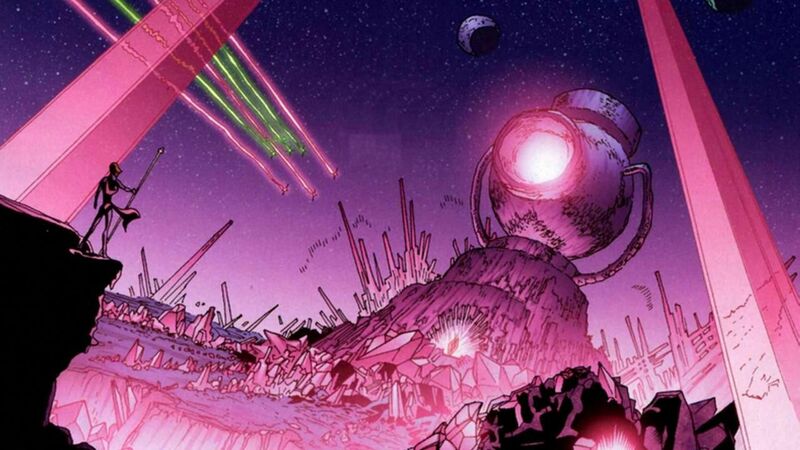 Everybody knows who the Green Lantern is (for the most part at least), but it’s the very committed fans that know each and every color on the emotional electromagnetic spectrum, their lantern corps, and what they mean. For this post, we shall review what the colors mean, their oaths, and where they align themselves on the side of Good vs. Evil. Within the emotional spectrum on the rainbow it is important to remember that there are the lanterns representing the negative emotions (Red, Orange, Yellow) and the ones representing the good (Blue, Indigo, Violet). Green is the neutral color, designed to keep the two in balance. (There are also the Black and White lanterns, which we will get into at the end.) Each corps has a distinct Emotional Association, Insignia, Oath, Base of Operation, and Entity, (the embodiment of the emotion). The Red Lanterns associate themselves with Rage. They are a brutal and frankly violent corps, using Rage to fuel the power they possess. We’ll burn you all–That is your fate! The Orange Lanterns associate themselves with Avarice (or Greed). Because of this there is only one Orange Lantern. There have been temporary additions, but there isn’t essentially a corp, just one alien. The Yellow Lanterns associate themselves with Fear. They are a consistent thorn in the side of the Green Lanterns and are thought of as the opposite Green Lanterns. The Sinestro Corps, named after their leader (who was a former Green Lantern), have a sizable army and continue to corrupt the hearts of those good. (There have been many attempts to conscript Batman). Burn like my power… Sinestro’s might! 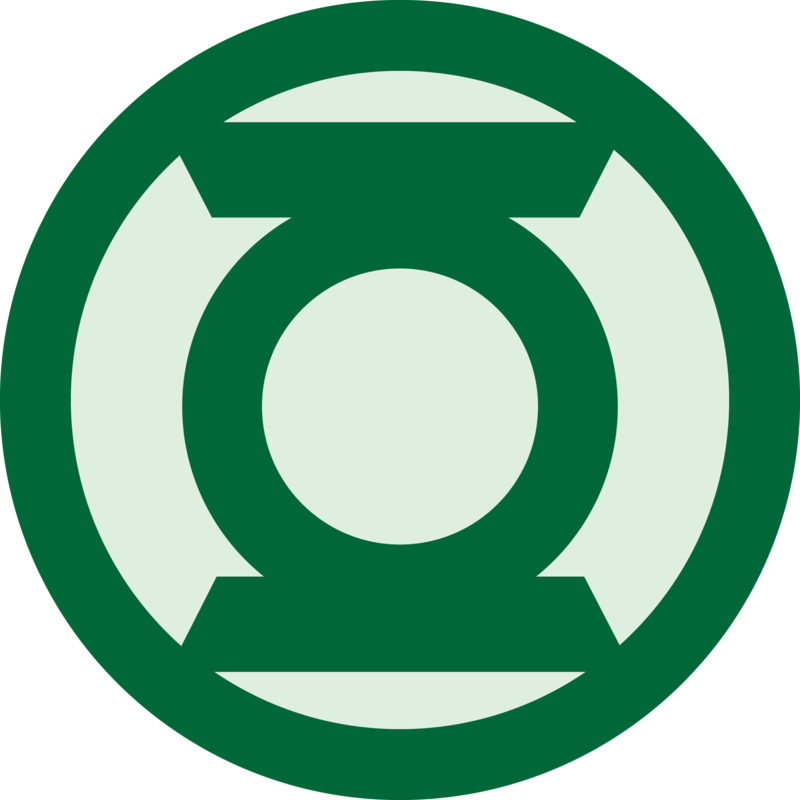 The Green Lantern Corps are associated with Will. They are the neutral color in the emotional spectrum. They are meant to keep the balance in the universe and work sort of like an intergalactic Police Corps. They are the most well known among comic book fans, as the first Earth-dwelling member of the Corps, (Hal Jordan), is a member of the Justice League. Beware my power…Green Lantern’s Light! Although there is an Honor Guard who act as the leaders of the corps, they all answer to the Guardians on Oa. The Blue Lantern Corps harness the emotional power of Hope. They are the first of the Positive emotional spectrum. 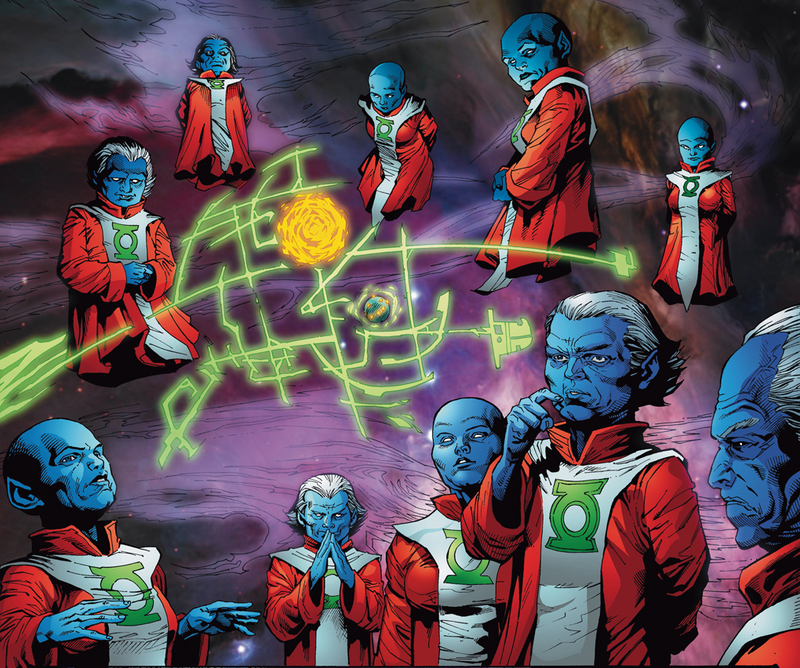 Founded by the guardians Ganthet and Sayd, they bring hope to the galaxy. The first actual member who obtained a blue ring is Saint Bro’Dee Walker. Look to the stars– For hope burns bright! The Indigo Tribe harnesses the power of Compassion. They are not necessarily a corps. They were founded when Abin Sur (former Green Lantern) came to the the distressed planet Nok where he helped a tribe there combat the villains with the Indigo light of Compassion. Unlike traditional Corps, they use staves instead of rings, (though they still have rings). we rid your misery with compassion of might. The Violet Lanterns harness the power of Love. They are more alternatively known as the Star Sapphire Corps, taking upon the name of their leader Star Sapphire. Love conquers all– with violet light! The Black Lanterns are associated with Death. In The Blackest Night comic series, they play a major role amongst all the lantern corps, even so much as to turn the Justice League Undead. In all reality, they are zombies that want to destroy all life. It’s really just the entity that infects people. The White Lanterns control the Power of Life. And like the Black Lanterns, it is the entity that takes a host. In order for the Justice League to combat the forces of the Black Lanterns, they take upon them the Life Entity and destroy the Black Lanterns. A new dawn comes, Let there be Light! What Lantern Color would you choose? Let us know in the comments below! Previous Previous post: Free Comic Book Day 2018!